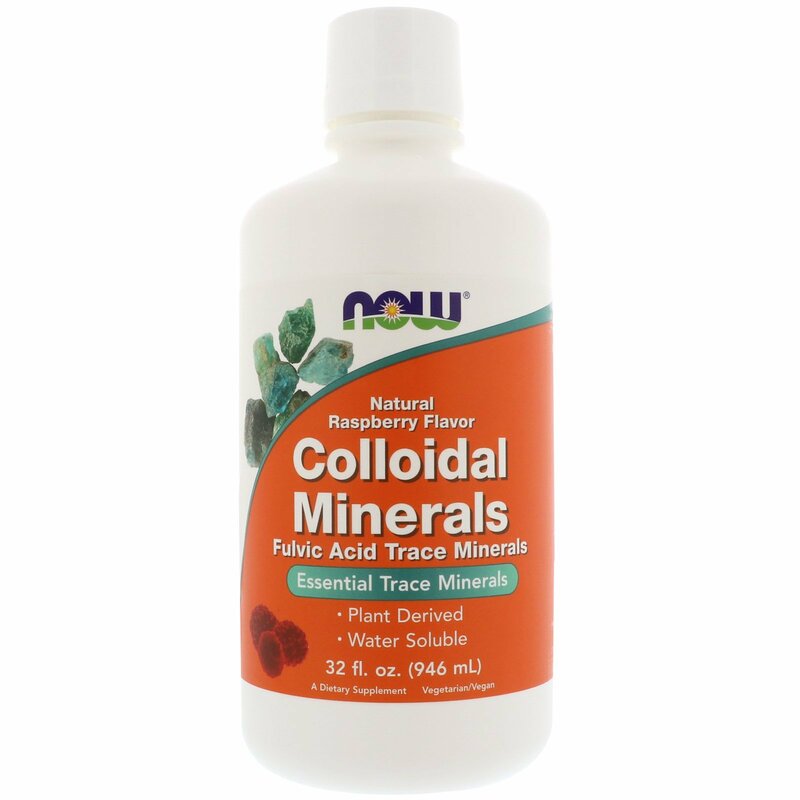 NOW Raspberry Flavored Colloidal Minerals is a pleasant tasting blend comprised of highly absorbable, water-soluble minerals derived from prehistoric plant deposits in Utah. These colloidal minerals were created ages ago when they became incorporated into the living plants, fruits and vegetables of that era. These trace elements helped to form the luscious vegetation which contributed to the vibrant life that flourished on this planet. 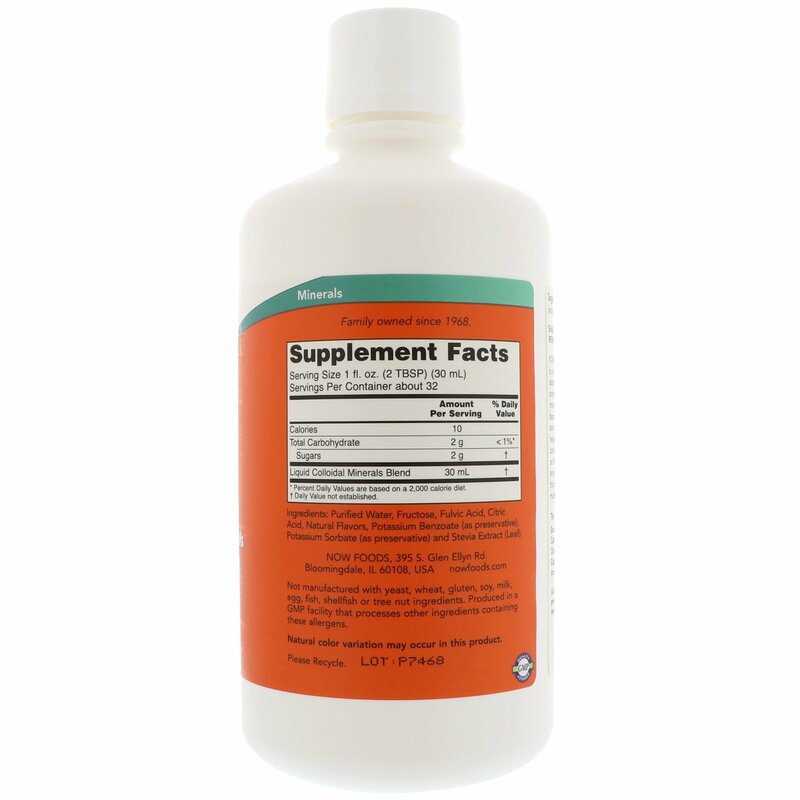 Each 1 ounce serving has trace amounts of naturally occurring essential minerals that can be difficult to obtain from the modern diet. Take 2 tablespoons daily in juice or water. 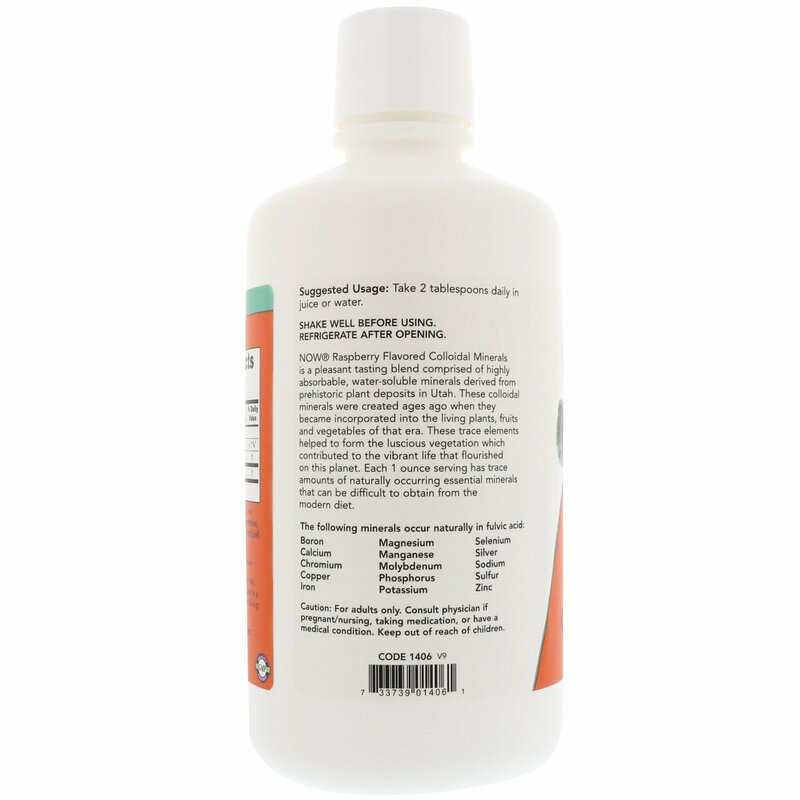 Purified water, fructose, fulvic acid, citric acid, natural flavors, potassium benzoate (as preservative), potassium sorbate (as preservative) and stevia extract (leaf).